"... a musical genius at the height of his powers, leading a big band of his equally talented peers through 14 selections as fresh as their recording dates from the period ... it just cannot get any better than this ... I should be grateful we had him and this music." 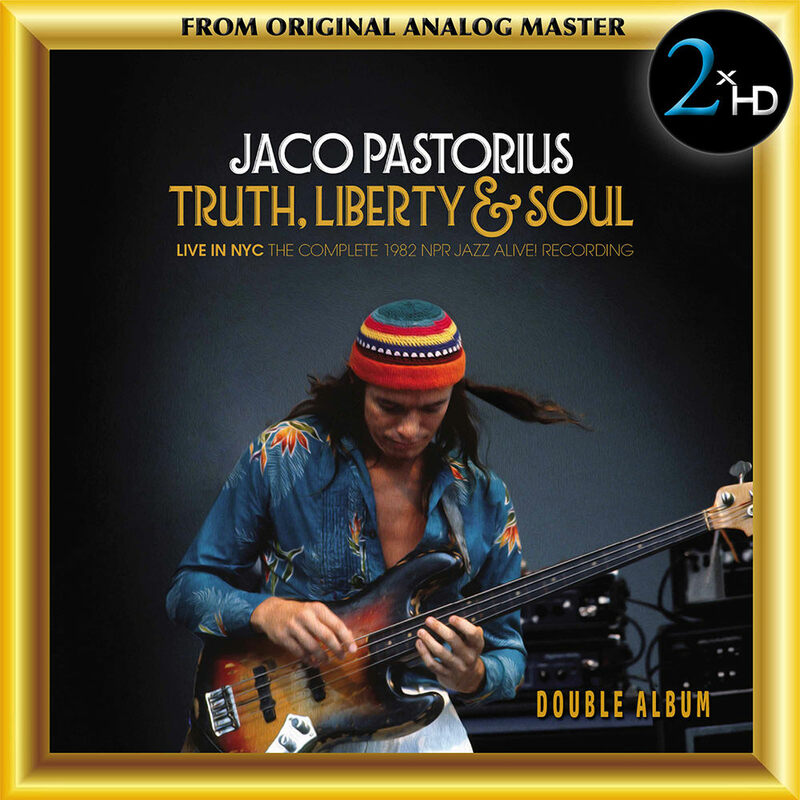 A first-time release comprising over two hours of extraordinary, groundbreaking high fidelity music, this live album from electric bass genius Jaco Pastorius and the Word of Mouth Big Band, featuring guest harmonica virtuoso Toots Thielemans, was recorded at Avery Fisher Hall in New York City in June 1982 and is presented from beginning to end exactly as it happened. Mastered with 2xHD’s proprietary Fusion Process, it is now available in all high-resolution formats on the 2xHD label. In addition to his extraordinary skill on the bass, Pastorius was also developing into an accomplished and sophisticated composer and arranger and those talents are gloriously on display here. The resulting signal is then transformed into high resolution formats by recording it in DSD11.2 kHz using a Merging Technologies Horus A to D converter. All analogue and digital cables are state of the art. The 2xHD FUSION mastering system is powered by a super capacitor power supply, using a new technology that lowers the digital noise found in the lowest level of the spectrum. A vacuum tube NAGRA HD DAC (DSD) is used as a reference digital playback converter in order to A and B with the original analogue master tape, permitting the fusion of the warmth of analogue with the refinement of digital.